We at e-Pure strongly believe that the quality of our product is an unmistakably crucial component in delivering the purest, most enjoyable e-liquid on the market. As such, our highly-qualified team goes to great lengths to ensure that every drop of liquid adheres to these parameters. Our team has gone through extensive training to ensure that our product adheres to a level of quality that we take pride in. Led by a Ph.D. in the field of chemistry, our team guarantees that each bottle of liquid is carefully monitored to ensure a high degree of product quality and consistency. Our facilities and equipment adhere to â&#x20AC;&#x153;current good manufacturing practiceâ&#x20AC;? standards set in place by the Food and Drug Administration. We have a chemist on staff with 30 years experience in pharmaceutical facilities, whose sole purpose is to ensure compliance with ever-changing regulations, which assures the identity, strength, quality, and purity of drug products developed in the United States. Our Mixologist carries a Culinary Arts Degree and as such, produces gourmet e-liquid with mouthwateringly vibrant flavor combinations. With 5 years experience mastering the art of creating e-liquid, our Mixologist successfully fulfills our unrelenting commitment to bold, unforgettable flavors. Our e-Liquid undergoes extensive testing prior to being bottled to ensure quality and consistency throughout the entire liquid manufacturing process. Utilizing High Performance Liquid Chromatography technology, we monitor the purity and density of our nicotine in both the starting and finished product. 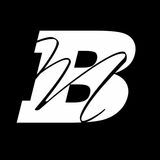 Utilizing cutting-edge stocking, manufacturing, and production technology, we take pride in assuring that our clients orders are handled in record time with precision and accuracy. In 1845, a group of esteemed gentlemen gathered ‘round a table and set out to christen the bustling settlement we now know as Kansas City. Legend has it that among the handful of proposed nomenclatures, “Possum Trot” was taken into strong consideration. Born and bred in Kansas, we honor our history and our traditions by handcrafting e-liquid that, like our great city, is a cut above the rest. 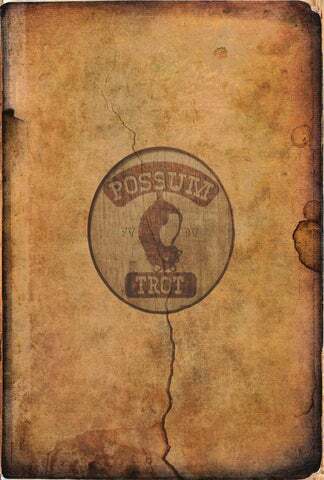 Out of wild and fanciful legend comes Possum Trot, an imaginative collection of flavorful tales. Rigorously Crafted in the United States of America. i Sâ&#x20AC;&#x2122;MORENADO j A dangerously delicious spin on traditional tobacco, stacked atop melted chocolate, toasted marshmallow, and sandwiched between crisp graham crackers. A slice of this blend reveals tart lime accented by decadent cheesecake notes presented atop a crisp graham cracker crust. BEHIND j iTNUT HE CURTAIN Pulling back the curtain reveals rich, sweet notes of butter, brown sugar, and pecans, served with a scoop of french vanilla ice cream. This tantalizing spell combines luscious pears dusted with chai spice, and accentuated by gooey marshmallow. An irresistable blend of hand-picked peaches and apricots, topped with a honey drizzle and nestled atop a bed of bavarian cream and coconut flakes.